The old Jewish cemetery in Pesaro was once located just outside Porta Fano. Of the remains that have been found, the earliest mentioned dates come from 1214 and the oldest surviving fragment of a tomb stone is dated to 1415. A second cemetery was inaugurated after 1550, on the San Bartolo hill, where it still stands today. The new cemetery, completely enclosed by walls, can be accessed through a large gate. 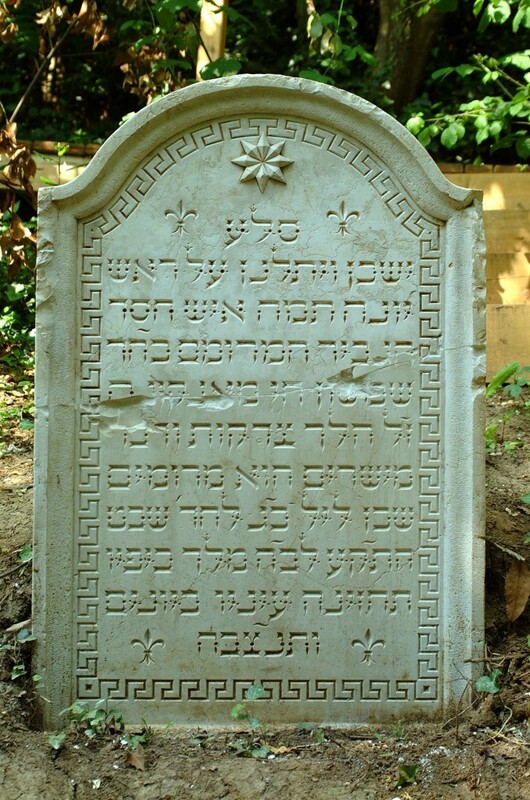 After the Holy See took control of the Duchy of Urbino, Jews were prohibited to use burial stones and inscriptions. Yet, amidst the thick vegetation covering the hill today, one can stills see headstones and memorial inscriptions in a wide variety of styles. The higher up the hill one goes, the more old and elaborate the tombs become.